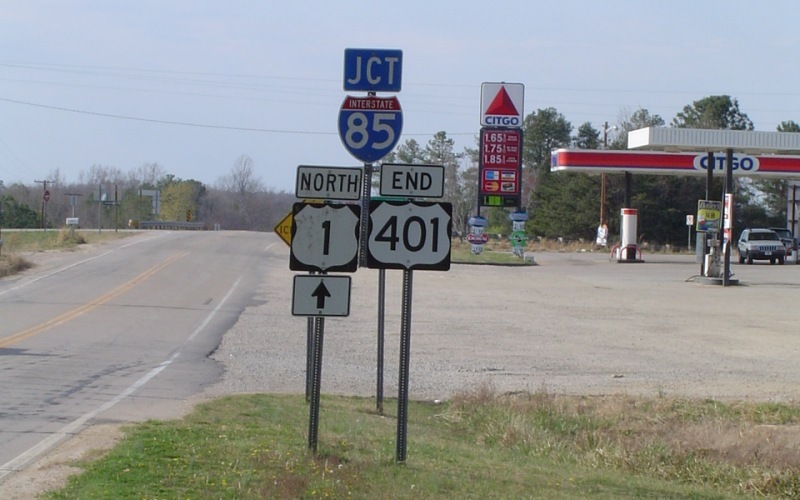 This intersection in Norlina was US 401's northern terminus from ca. 1957 until 2001. 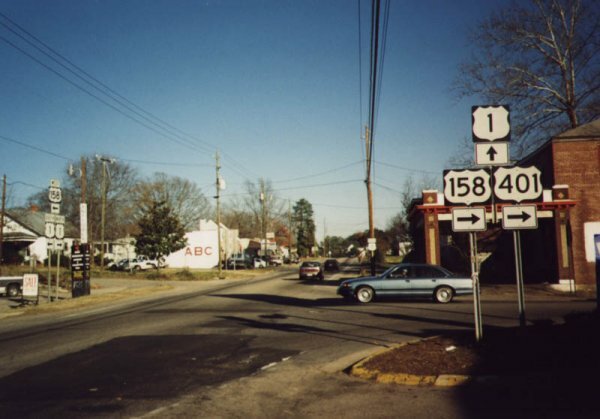 In 2001, it was extended north, duplexed with US 1 to I-85 just south of the NC/VA state line. Also, since that time, this intersection has become signalized. Photo by Alex Nitzman. 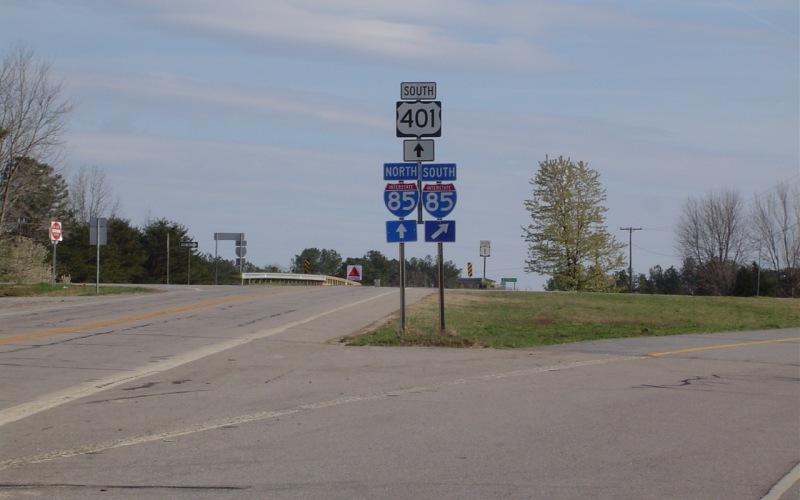 The new, since 2001, terminus of US 401, with guide signage as seen from southbound I-85. Photo by Doug Kerr, taken June 4, 2004. 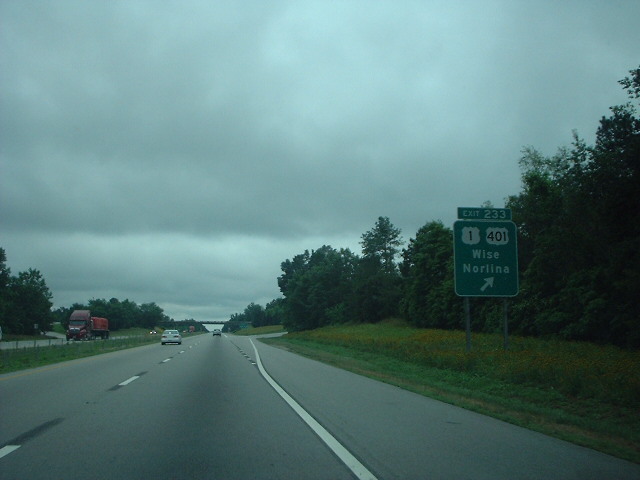 END signage along northbound US 1/401, with the bridge over I-85 in the far background. Photo by Dave Filpus, taken March 24, 2004. The first southbound trailblazer sits at the diverge for the ramp from southbound US 1 to southbound I-85. Photo by Dave Filpus, taken March 24, 2004.